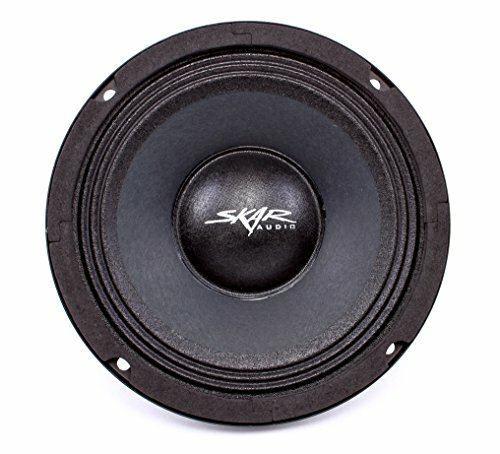 The new FSX series 6.5-Inch pro audio speaker features a high quality ferrite magnet and were designed to be very loud and powerful mid-range speakers. We wanted to develop a high power pro audio mid that offered our customers looking to run a large quantity of this type of speaker a practical solution at an affordable cost, but without sacrificing quality. That is exactly what this speaker brings to you. Rated at a conservative 150 watts RMS power and 300 watts max power, and featuring a 4 ohm voice coil, these will shine on proper amplified power. Sold individually. Magnet type: ferrite, magnet weight: 20 oz., voice coil: 1.5" Copper, basket: pressed steel, RMS power: 150 watts, max power: 300 watts. If you have any questions about this product by Skar Audio, contact us by completing and submitting the form below. If you are looking for a specif part number, please include it with your message.